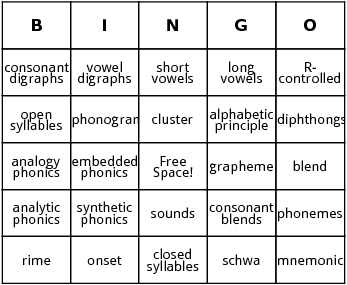 These are phonics bingo cards. Making a student phonemic aware will enable him to glue the things he hear to the words he spell by sounding the words out. This card includes words related to phonemic learning like "sounds" and "short vowels". You can also add more words relating to the phonics bingo word list before you create them.